Pablo Picasso is undeniably one of the most famous artists of the modern era. 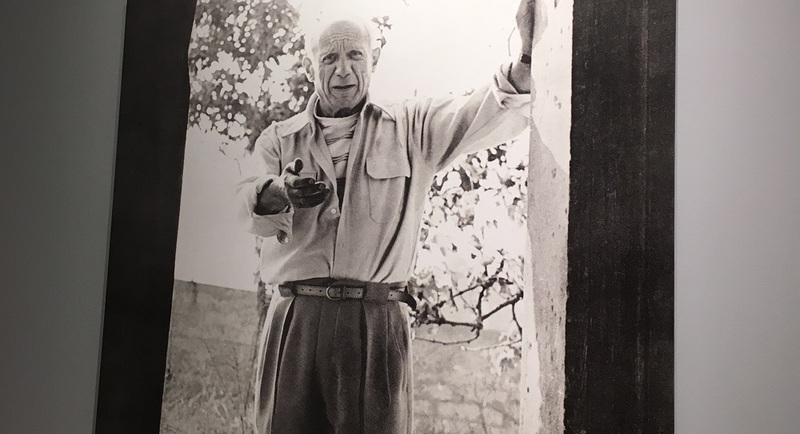 While so much has been written about Picasso over the years, from his inspirations to his infidelities, one of the details that often gets lost when discussing Picasso is just how prolific he was. During his 91 years, Picasso completed over 26,000 cataloged works of art. That’s right—twenty-six THOUSAND! That number represents a staggering output for an artist in any medium, particularly one as accomplished as Picasso. 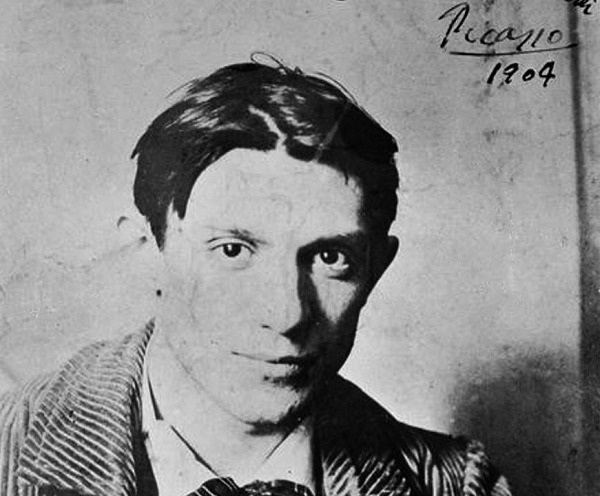 Photograph of Pablo Picasso (1904), public domain. He refused to limit himself to any singular format. While he is best known for his famous paintings like “Guernica,” Picasso also crafted sculptures, ceramics, drawings, graphic works, tapestries, theatrical sets—the list goes on and on. 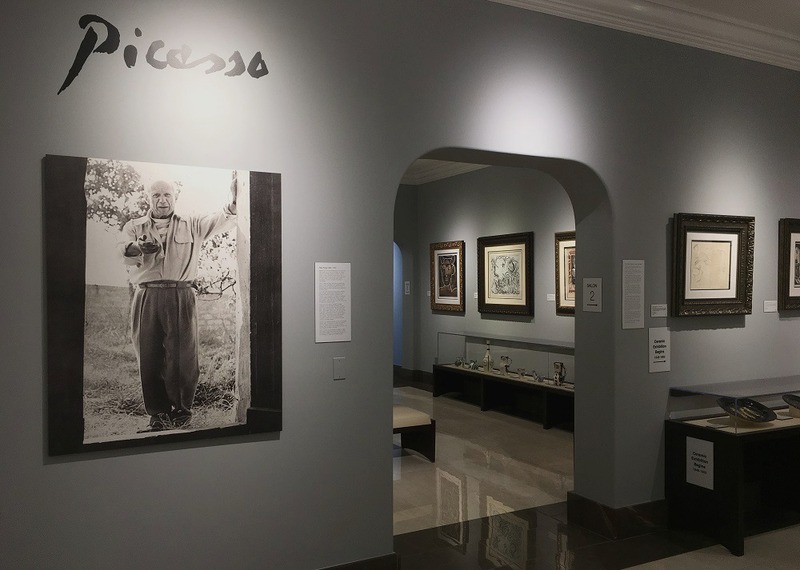 In the Picasso galleries at Park West Museum, there are 99 works from the legendary artist that reflect some of the widely varied (and lesser-known) styles and techniques he used throughout his career. 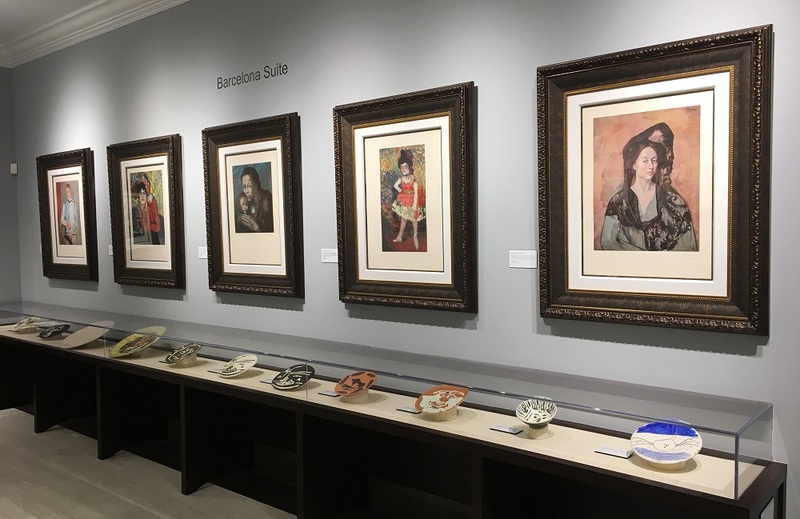 The museum currently displays five hand-signed lithographs from Picasso’s “Barcelona Suite.” These limited-edition works from the Museo Picasso honor the artist’s imaginative depictions of the citizens of Barcelona. 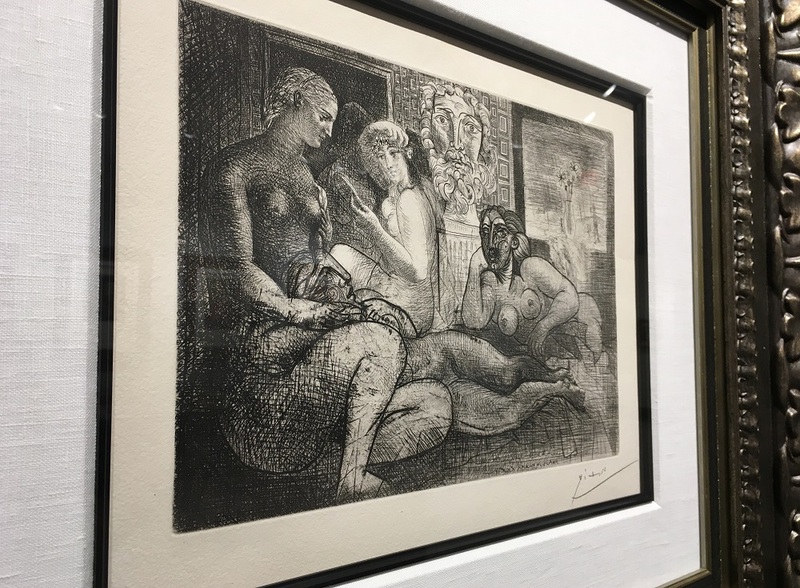 Nearby, you can find nine etchings from Picasso’s famous “Vollard Suite,” a series of 100 etchings he created in the 1930s for the famous French art dealer Ambroise Vollard. 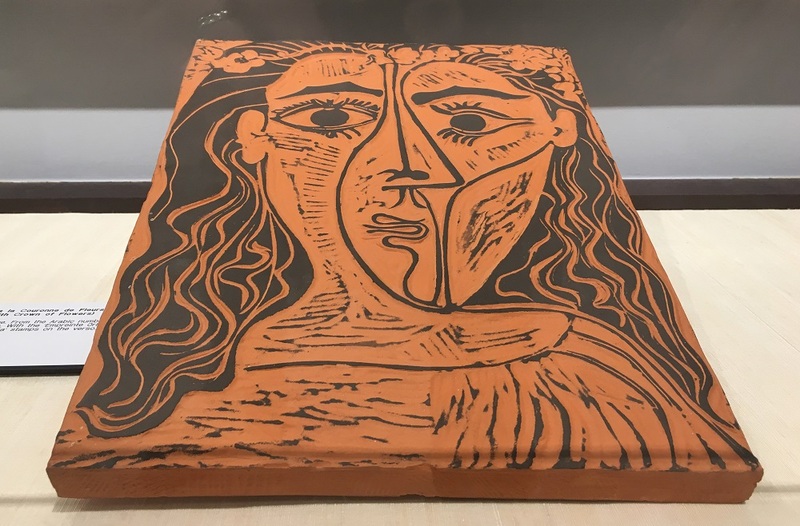 Another aspect of Picasso’s career that often surprises museum visitors is his innovative work with ceramics. 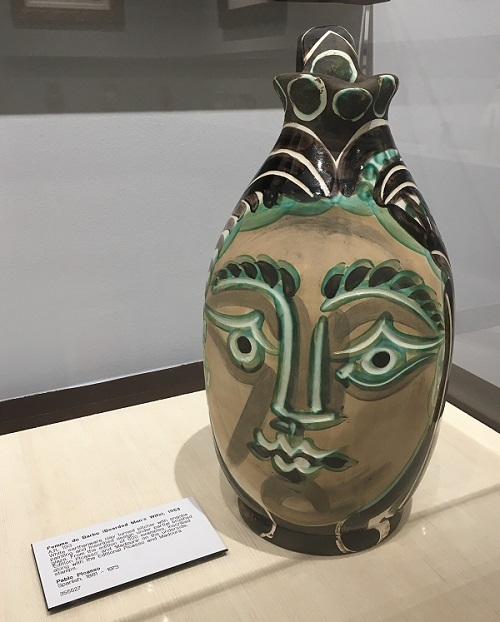 Park West Museum features 67 different ceramic works from Picasso—each one is unmistakably marked with his unique imagery—and three original medallions designed by Picasso as well. One of the joys of exploring Picasso’s output is discovering how frequently he experimented with different forms of artistic expression. 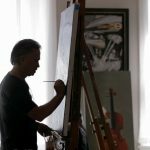 Yes, he painted, but he also shaped ceramics, printed aquatints, crafted linocuts, carved out etchings—his passion for creating art was not bound by any single medium or format. If you’re interested in the true breadth of Picasso’s career, embrace the opportunity to take a deep-dive into the artist’s back catalogue. Look beyond the familiar images everyone knows and see just how many varied forms of art Picasso created during his lifetime. His body of work remains a stunning accomplishment, even decades after his death. And one can only imagine, if Picasso was still alive, what he’d be creating today. To collect the artwork of Picasso, contact our gallery consultants at (800) 521-9654 ext. 4 during business hours or sales@parkwestgallery.com.